6 Things You’ll Probably Fight About Before Your Wedding | Wedding Ideas ARE YOU A VENDOR? Planning a wedding can be emotionally, mentally and spiritually draining, so at times you may get a little irritable and take out your frustrations on your partner. 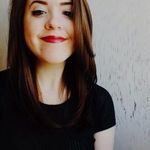 Now, before you start gearing up to cancel your big day, you should know that this is totally normal and maybe even helpful. That’s right! 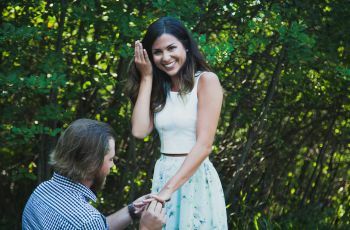 The things that get you riled up could actually be things you’ve been meaning to talk about for a while, so talking out these issues before you tie the knot is definitely for the best (just try your best not to get mean). Here are a few things you’ll probably fight about before your wedding. You probably saw this one coming from a mile away, but if you haven’t already, you’ll probably have one or two arguments about money before your big day arrives. Whether it’s how much your spending on flowers or how much you plan to spend on your marital home, this hot topic is one that’s seriously difficult to avoid. Instead of screaming and yelling, sit down, do a little budgeting and discuss realistic financial goals for the future. You may have to make a few compromises, but, hey, that’s what marriage is all about. Even if the two of you are totally on the same wavelength, you’ll probably run into a few wedding-related disagreements. Be it wedding budget, seating chart or guest list, the two of you are bound to have one or two things that you don’t see eye to eye on. Instead of freaking it out, weigh your options and try to meet somewhere in the middle. If your partner gets the final say on the wedding flowers, maybe you get the final say on the wedding menu. If you really start butting heads, consider asking your wedding planner or a neutral third party to step in and mediate - they might help you see the light. Is your partner’s tendency to talk during movies driving you up the wall? Is their messiness more annoying than usual? Well, now’s not the time to nitpick. Yes, these habits are undoubtedly irritating, but they’re really not what you should be focusing your energy on. Remember, you fell in love with your partner, quirks and all, so try your best to zone in on that. If these little things really start getting in your head, take a few deep breaths and (kindly) as them to cut it out instead of letting it snowball into a bigger issue. The truth is, they probably don’t even notice what they’re doing and it’s more than likely that they’ll stop if you ask them to. So, the two of you are both employed full-time and neither of you want to take off time to plan your wedding? That’s probably going to ruffle a few feathers at some point. 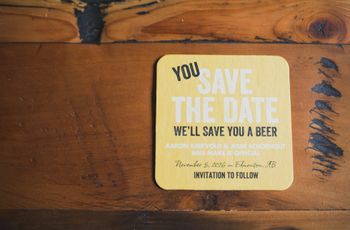 You’ll need to book meetings with potential vendors, schedule tastings with your baker and caterer and scout wedding venues - and that takes time (sometimes during work hours). If neither of you are backing down and you’re both starting to get a little stressed, it’s time for a compromise, not a screaming match. Divvy up responsibilities and make things equal - a partnership that lasts a lifetime is a balanced one. While you and your partner are the stars of your wedding day, you’re not the only ones involved in this union - your families will also be joining together, for better or for worse. Now, this may mean that you get into a few squabbles with your in-laws about your wedding or your relationship, and those are never fun. Though you may be tempted, instead of putting up your dukes and raging to your partner about their mom or dad, ask them to act as the middleman - they know best when it comes to dealing with their family. 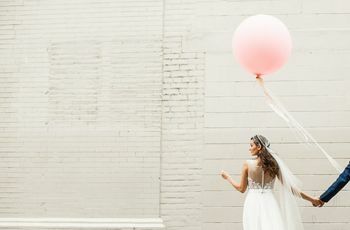 You may love your MOH or best man and all they’re doing for you, but their involvement in your wedding (and relationship) leading up to your big day may start to get on your better half’s nerves. If you see a storm brewing, don’t run to your BFFs defense right away - ask your partner what’s bugging them and try to iron out the situation before things get worse. You have to show them that you’re on their team, but not throw your bestie under the bus, either.